True Fleets best August numbers ever! When will the Spanish bull stop charging? 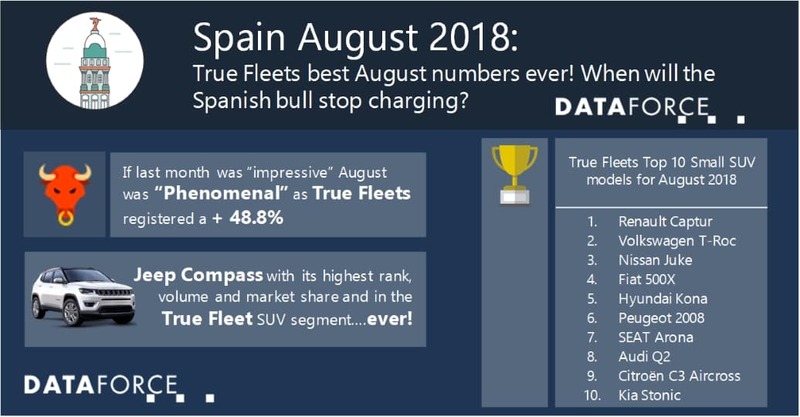 Spanish True Fleets have again delivered some amazing results, not only was this August their best ever(! ), the growth rate of + 48.8% is the highest ever achieved for the fleet channel. The rest of the market also performed well, Private registrations were up by 26.6% with Renault leading the charge and Special Channels hitting triple digits for their growth, 135.2% to be precise. It is also worth noting that the strongest of the sub-channels (Dealership/Manufacturer) increased its volume by no less than a five-digit figure! This left the Total Market up 48.3%, finishing with 112,000 registrations for August and hitting the 1 million car mark a full 2 month’s quicker than last year! Well as you would expect inside the top 10 there were winners galore, only one negative and a 12 place jumper on the ranking ladder (who also scored best growth rate and best fleet month ever). Starting at the top of the ladder we see no changes for the first two. VW was 1st, thanks to impressive performances of the Tiguan, T-Roc and Polo. Renault were next with a + 41.8% helping to keep them in 2nd. Nissan in 3rd were the second highest grower (+ 142.5%) thanks to the SUV line-up of Qashqai, X-Trail and Juke and were followed in 4th by the four-ring manufacturer, Audi. While middle of the ladder in terms of ranking Fiat’s 5th position and performance was anything but middle of the road. The Italian manufacturer scored a 504.6% growth for August to get them to 5th, with a super healthy spread of models achieving the volume for them. The 500, Tipo, 500L, 500X and Panda all contributed to this fantastic month for the Turin based OEM. 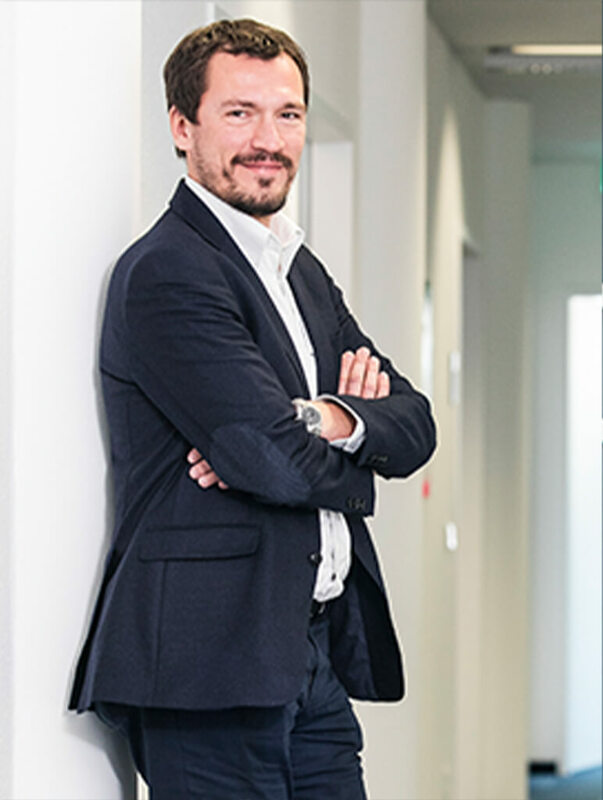 BMW, Peugeot and Toyota were the next on the ladder respectively, all had a positive month (to varying degrees) but none retained their respective position from last year. Mercedes was the odd one out for August, down by 9.3%, this was the 5th month of contraction in 2018 and the 8th month of negative growth in the Spanish fleet market over the last 12 months. SEAT completed its home country’s True Fleet top 10 with a sedate + 8.0% and it was their model Arona which contributed most to keeping them in the black. No prizes for guessing which segment is first, it is of course the SUV segment and with all sub-segments combined (Small, Compact, Medium and Large) the SUVs as a whole were up by 90.6% and accounted for more than double the volume of the next nearest segment, which was Compact Cars. In fact the Compact SUV segment alone accounted for more than its (Compact) Car counterpart showing a standout growth rate 121.1%. Inside this sub-segment we saw some pretty amazing growths from Nissan Qashqai (ranked 1st), Peugeot 3008 (ranked joint 4th), Toyota C-HR (ranked 7th), Mini Countryman (ranked 11th) and the Renault Kadjar (ranked joint 13th) who all registered triple-digit growth rates but the shining star was the Jeep Compass. This new version of the Compass first appeared in the registrations figures from June 2017 and has managed to gradually build its footprint in the Fleet market for Spain culminating in this month, ranking 3rd in its segment, with a growth of 1569.6%. And while it could be claimed it is coming from a low base with its 2017 figures it is worth noting it was less than hundred registrations behind the much better established VW Tiguan.